Hawai‘i’s State Capitol building houses the offices of the Governor and Lieutenant Governor, offices of state legislators, and the chambers of the state House and Senate. The Capitol was constructed at the direction of Governor John A. Burns and designed by the firms of Belt, Lemmon & Lo of Honolulu, John Carl Warnecke & Associates and Architects Hawai`i. It was built at a cost of $24.6 million. 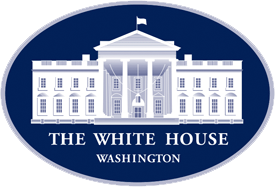 Construction was started on November 15, 1965 and completed on March 15, 1969. The State Capitol’s unusual architectural style contains a great deal of symbolism reflecting the uniqueness of the island state. It was designed with extensive amounts of open space, both inside and out, to convey a sense of open government. The number eight is found throughout the building, signifying the eight major Hawaiian islands. There are eight columns in the front and back of the building, groups of eight mini-columns on the balcony that surrounds the fourth floor and eight panels on the doors leading to the Governor’s and Lieutenant Governor’s chambers. Self-guided tours* are available Monday through Friday from 8:30 a.m. to 3:30 p.m. year-round, with the exception of state holidays. The Hawai‘i State Capitol building is closed on weekends. *Please be advised that The Senate Chambers and House of Representatives Chambers are not accessible on self-guided tours. Guided tours for school groups, other groups and for the public are also available. 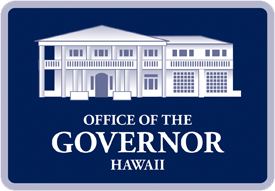 If you need further assistance or experience difficulties using the online form located in the link above, please do not hesitate to contact the Office of the Governor directly at (808) 586-0221. From the ‘Ewa side of O‘ahu: From H1 East, take Exit 21B for Punchbowl Street. Take a slight right onto Punchbowl Street. The State Capitol is on the corner of Punchbowl and S. Beretania streets. From the windward side of O‘ahu: Take Pali Highway (HI-61) onto H1 East. Take Exit 21B for Punchbowl Street. Take a slight right onto Punchbowl Street. State Capitol is on the corner of Punchbowl and S. Beretania streets. From H1 West, take Exit 22 for S. Vineyard Boulevard. Turn left on Punchbowl Street. State Capitol is on the corner of Punchbowl and S. Beretania streets. Public metered parking is available in Lot F at ‘Iolani Palace and in Lot S at the State Capitol, accessible from Miller Street off Punchbowl Street. Like the Hawaiian Islands, the Capitol is surrounded by water, and the outer columns that rise from the reflecting pools represent Hawai‘i’s palm trees. The House and Senate chambers have curved, sloping walls, a shape inspired by the volcanoes that gave birth to the islands.